Thomas Jefferson National Accelerator Facility (Jefferson Lab) in Newport News, with funding from the U.S. Department of Energy Office of Science, encourages undergraduate students to apply for the Science Undergraduate Laboratory Internships (SULI) program to participate in research opportunities in accelerator physics and nuclear physics, engineering, computer science, and mathematics. The goals of Jefferson Lab's SULI program include encouraging and preparing students to pursue graduate school for advanced degrees in experimental/theoretical physics and accelerator science. Students will contribute to the lab's science program by working on projects under the supervision of Lab scientists, engineers, and users. In some cases students will be co-authors on resulting publications. 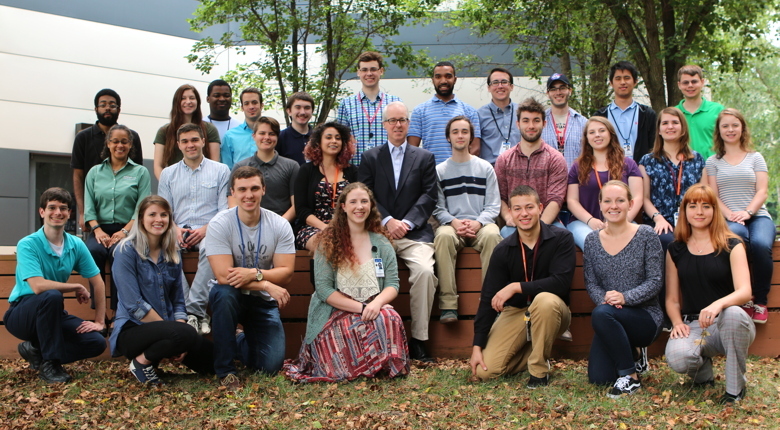 The summer program begins the Tuesday after Memorial Day and runs for 10 weeks, ending with participation in the Jefferson Lab Summer Student Poster Session. Students will have ample time to interact with each other, graduate students and Jefferson Lab staff scientists. Social and cultural activities will help forge a strong bond among the students. Selected students will receive a $500 stipend each week (subject to U.S. taxes), shared housing at the SURA Residence Facility, and travel support for students living more than 60 miles away from Jefferson Lab. • Complete the full ten-week program. Students should expect to spend at least 40 hours a week on deliverables and research. • Complete and adhere to all Jefferson Lab safety and computing requirements. • Have medical insurance during the 10 weeks time at Jefferson Lab. • Work safely in a responsible and professional manner. • Attend all scheduled activities including lectures, tours and group activities. • Complete entrance and exit surveys. • Create a poster and participate in the Summer Student Poster Session. • Submit a one-page peer review of another SULI intern's poster. • Submit an abstract and a 1500-3000 word research project report in the required format. • Must be must be at least 18 years old. • Must be currently enrolled as a full-time undergraduate student and at the time of applying at least one year as matriculating undergraduate student with minimum cumulative Grade Point Average (GPA) of 3.0 on a 4.0 scale. • Must have a high school diploma or certificate of General Education Development (GED) at the time of applying. • Must have U.S. citizenship or be a permanent resident. Must provide evidence of identity and eligibility to work in the U.S.
• May participate in the SULI program twice and can apply to the SULI program a maximum of three times. For more information, or to apply, please visit the DOE SULI webpage.